Among all the open source PHP frameworks Laravel is the best framework. Good developers like to write clean and reusable code which help to develop project smoothly. Composer is an amazing tool which manages your application's third-party packages easily. Artisan Console: Artisan is the command line interface in the Laravel. Provides a number of commands while developing a web application. Unit Testing: Laravel is built with unit testing in mind. In fact, support for testing with PHPUnit is included out of the box, and a phpunit.xml file is already setup for your application. 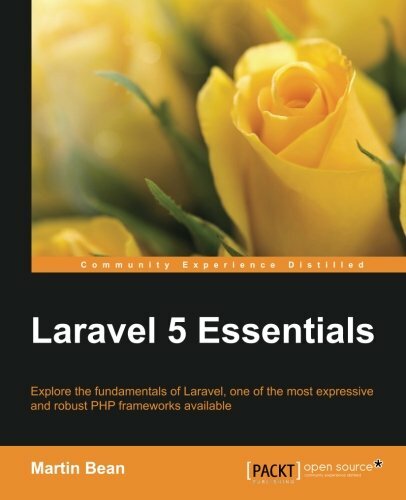 Martin Bean's Laravel 5 Essentials purpose to help PHP web developers who want to learn Laravel framework basics not just in theory, but also practically. The book is designed for developers with previous programming experience, specially with the PHP framework Laravel. After learning the basics of testing in Laravel to execute end-to-end testing. True to its name, Mastering Laravel is geared towards programmers who are already familiar with the PHP framework and just need a little help in learning all the ins and outs of Laravel. Finally, if you are experienced or have knowledge of basic OOP programming and databases or a capable PHP programmer who has a basic understanding of the concepts of modern PHP, then this book is ideal for you. This book is well structured and easy to read. The concepts are well explained, with good real-life examples to show how the design patterns are used in Laravel 5 projects. It will walk you through the widely used design patterns the Builder (Manager) pattern, Factory pattern, Repository pattern, and Strategy pattern and will empower you to use these patterns while developing various applications with Laravel. By this book, you'll learn how to set up a new Laravel project with Eloquent and customize the features. This book also informs you how to build queries for each model connecting to the database. Eloquent ORM is built into Laravel to help you work with databases using specific models for each table. 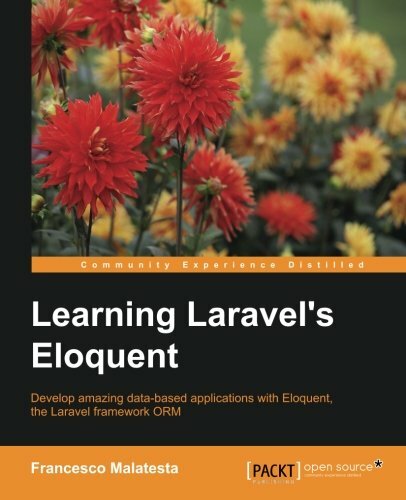 The book is ideal for who have prior experience with Laravel and Eloquent. For those who want to create secure web applications using different methods such as file uploading and processing, making RESTful AJAX requests, and form processing. Laravel Application Development Blueprints is written for people with intermediate and advanced knowledge of the PHP framework. 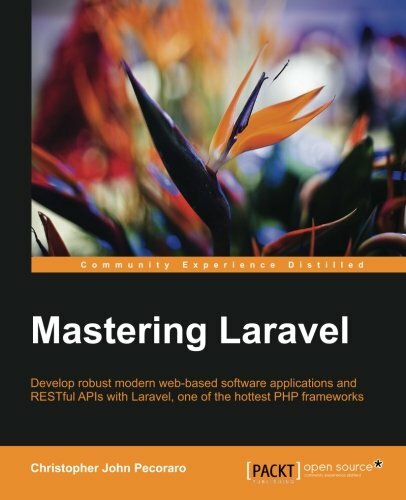 The book starts with basic lessons and eventually digs deep, providing Laravel tutorials using 10 different applications throughout the course of the book. 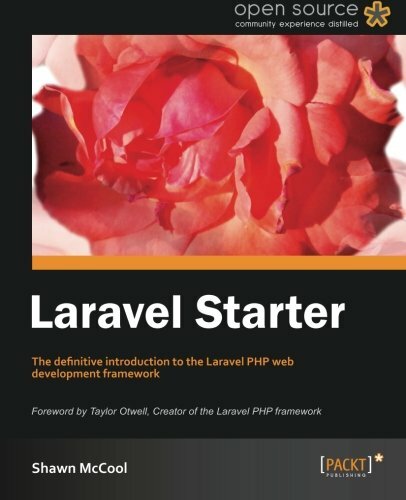 "Laravel Starter" is the ideal introduction of a game-changing framework. Learn best-practice approaches to web-application development with Laravel from a seasoned professional. 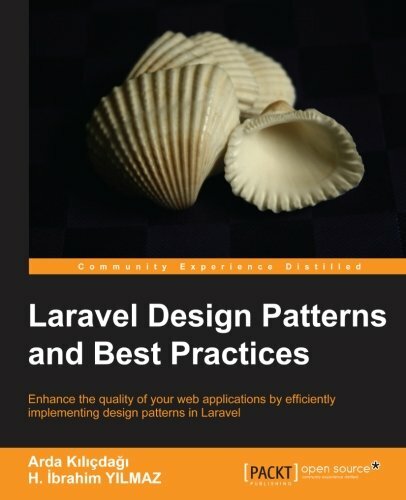 This e-book is a realistic, task-based, step by step educational that demonstrates issues starting from MVC code-separation, code-modularity to use Active Record that is defined from the ground-up to supply a robust framework of realizing to develop web-applications with Laravel. 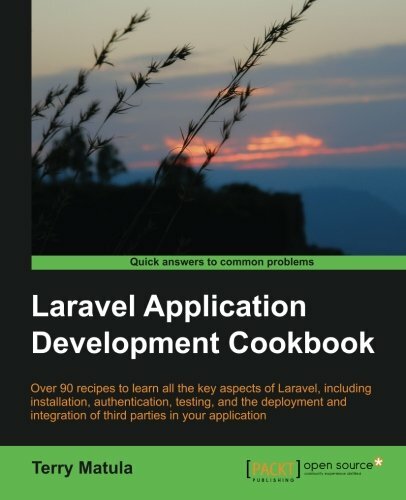 As Laravel is so versatile, one of the best learning routes is a cookbook. It includes lots of recipes and guidance on building web application, both simple and complex. It's a pick & mix approach that works smartly. In the process, it will also allow both new and existing Laravel users to expand their knowledge of the framework. Laravel: UP and Running presents all major aspects of the framework in details. 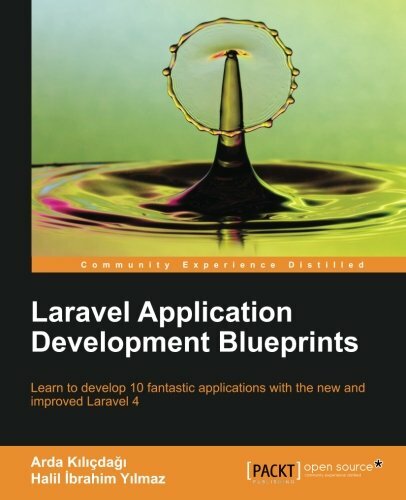 Matt Stauffer has written this books for PHP developers who want a comprehensive introduction to Laravel. The intention of the author is to get the developers up-and-running with Laravel development in the minimum time. This is why the books adopt a very developer-to-developer style with little holding of hands and explanation for basic stuff! 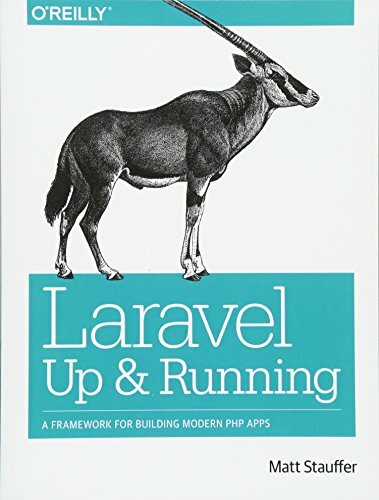 Chuck HeintZelman's Laravel 5.1 is an amazing PHP Framework Laravel Book. 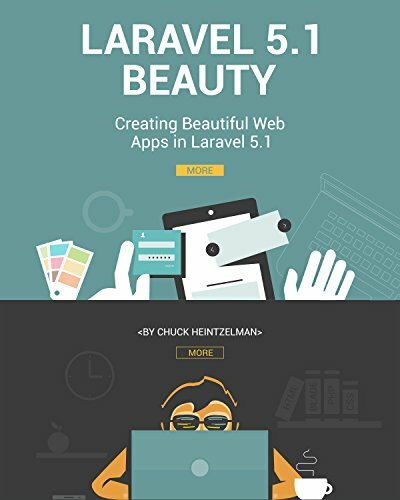 This book goes through the process of designing, creating and coding a real-world application using Laravel 5. Handling the upload manager and posts in the administrator panel. Learn about dependency injection, interfaces, service providers, SOLID design, and more with practical and real-world code examples. 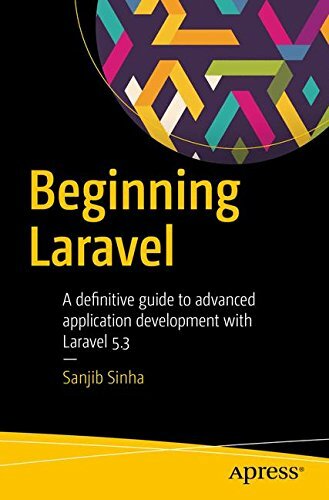 This book covers everything you need to get started in application development with Laravel 5. Beginning Laravel covers features such as method injection, contracts, and authentication.